Rep. Kim Koppelman has served in the North Dakota House of Representatives since 1994, representing West Fargo’s District 13, where he chairs the Judiciary Committee. He also currently serves on the Political Subdivisions and Administrative Rules Committees, and on the Interim Government Administration and Judiciary Committees. He is also Chairman of the Shared State Legislation Committee of the Council of State Governments. Rep. Koppelman served as the National Chairman of The Council of State Governments (CSG) and as Chairman of the Constitutional Revision Committee (2005-2012), the Administrative Rules Committee, and the CSG Public Safety and Justice Task Force. He also served as Vice Chairman of the House Judiciary Committee, the Administrative Rules Committee, the Council of State Governments, the CSG Suggested State Legislation Committee, and the Legislature’s Interim Judiciary Committee and on the Executive Committee of the National Conference of State Legislatures (NCSL). He is a Commissioner of the North Dakota Commission on Legal Counsel for Indigents and the Midwest Interstate Passenger Rail Commission, and is a member of the Civil Justice Task Force of the American Legislative Exchange Council. Rep. Koppelman serves on the Boards of the National Center for Interstate Compacts, and the R Street Institute and as President of the Valley Christian Leadership Association. He has also served on the Judicial Planning Committee (a joint committee of the ND Supreme Court and the State Bar Association of North Dakota) and on the Supreme Court’s Committee on Alternative Dispute Resolution. Rep. Koppelman has worked with the National Institute for Civil Discourse (University of Arizona) and has served on numerous other regional and national boards and committees. He has sponsored landmark legislation, from regulatory reform to public safety, and has shepherded major efforts through the legislature from justice reinvestment to the Legacy Fund. 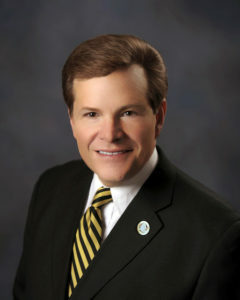 Rep. Koppelman is a graduate of the Bowhay Institute for Legislative Leadership Development and the Henry Toll Fellowship (a national leadership program for members of all three branches of state government) and is the recipient of the CSG Champion Award and the Stueben Eagle Leadership Award and was named a Kentucky Colonel by a former Governor of Kentucky. He is the recipient of numerous additional awards and recognitions for achievements in business, community service and in his Legislative service, including Legislative Awards from the North Dakota States Attorneys Association and the State Bar Association of North Dakota. He previously served as a City Councilman and on the Boards of the West Fargo Chamber of Commerce, the Fargo-Moorhead Advertising Federation, the FM Jazz Arts Group, the West Fargo Jaycees, and the MinnKota Red Cross and played an integral role in the formation of the West Fargo Community Band. He has also held several leadership positions in his church, including serving as an elder and as church chairman. Outside of the Legislature, he is President/CEO of Koppelman & Associates, LLC, an award-winning communications, public relations, marketing and advertising firm, which he founded and has led for more than 3 decades. Prior to founding the firm, he worked as editor of the West Fargo Pioneer, as a music teacher, in marketing and communications positions with other firms and with the United States Chamber of Commerce. He and his wife, Torey, are the parents of three adult children, including another legislator —Rep. Ben Koppelman (R, District 16)— and have 9 grandchildren. They have resided in District 13 since 1978.